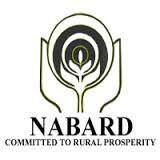 The National Bank for Agriculture and Rural Development (NABARD) has published the Assistant Managers Preliminary Online Exam Call letters 2018. As you know, the organization has invited online applications from 13th March 2018 to 2nd April 2018 for filling up 92 posts of Assistant Managers in Grade-A (Rural Development Banking Service) for the year 2018. Now it has came out with the online exam call letters for the same. You can download your call letters from the official website of NABARD or from below link by entering your Registration No / Roll No and Password / Date of Birth. The Online Exam is scheduled to be held on 19th May 2018. Check below for more details.